Now that The Twilight Saga is about to close with Breaking Dawn Part 2, another Stephenie Meyer book takes its place on the spotlight. 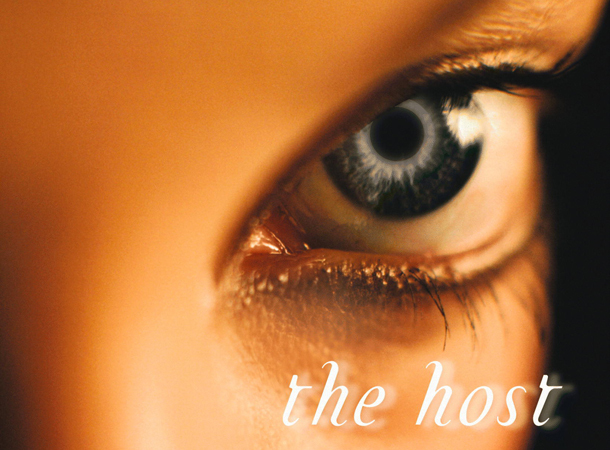 The Host, which is Meyer's attempt on Science Fiction and extraterrestrial love box, will have its own movie adaptation to be released on March 29, 2013. The Host has the usual ingredient that made The Twilight Saga a hit among teens. It tackles an unlikely romance brooding between a human and something aside from human. The star-crossed lover scheme makes its way into the wide screen once again. The Host is written and directed by Gattaca and Lord of War helmer Andrew Niccol. Saoirse Ronan plays the lead character Melanie Stryder, who will be possessed by a soul named Wanderer. Another possessed character named The Seeker will be played by Diane Kruger. Max Irons plays Melanie's love interest, Jared Howe, while Jake Abel and Boyd Holdbrook will portray Ian and Kyle O'Shea, respectively. Also part of the star-studded cast are Chandler Canterbury, William Hurt, Frances Fisher and Scott Lawrence. Stephenie Meyer is once again on the producer's seat, a place she definitely enjoys and a part she started to love in The Twilight Saga.